Glen Breton Rare 10yr is Canada’s first single malt whisky and has been described by Wine Enthusiast Magazine as one of the top 50 spirits worldwide. It is a homage to the Scottish heritage of the area as well as a nod to the unique terroir of Cape Breton with a uniquely Nova Scotian flavour. 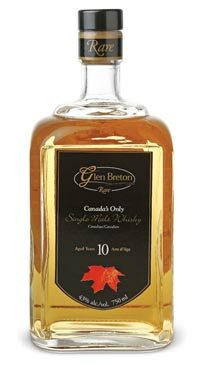 Glen Breton Rare 10yr has an intensely perfumed nose of wild flowers, orange blossoms, and maple followed by glazed apples and pears on the palate that give way to a nutty and spicy finish. This whisky is very much in the style of the sweet and spicy Speysiders, but with a zesty twist all its own. Definitely a must try for all the whisky geeks out there.